As we mark the Annunciation of the Lord, our minds are filled with awe and admiration for Mary. Luke writes that Mary was “deeply disturbed” (Luke 1:29) at her first sighting of the angel Gabriel, and naturally, as a woman in her teenage years, a virgin and betrothed to Joseph, her first emotional response would be fear. Yet, she did not recoil or run away. Fear is an emotion we all have to deal with, whether that comes in the shape of a fear of heights, spiders or the fear of losing a loved one, it is something we are all faced with at one time or another. So how do we deal with being afraid? In our ever-modernising world, there are endless self-help books, therapies and meditations to help people overcome fear. But, perhaps we are looking at fear the wrong way? The angel Gabriel said to Mary “Do not be afraid… for nothing is impossible to God” (Luke 1:29-37), and that is the essence of Christianity: nothing is impossible to God. When Mary questioned how it could be that she would conceive a child, the angel simply directed her to look to God, to trust in God. All the anxiety and fear she must have felt, not only for what was to come for her, but for Joseph too, were met with the simplest of instructions: trust in God. 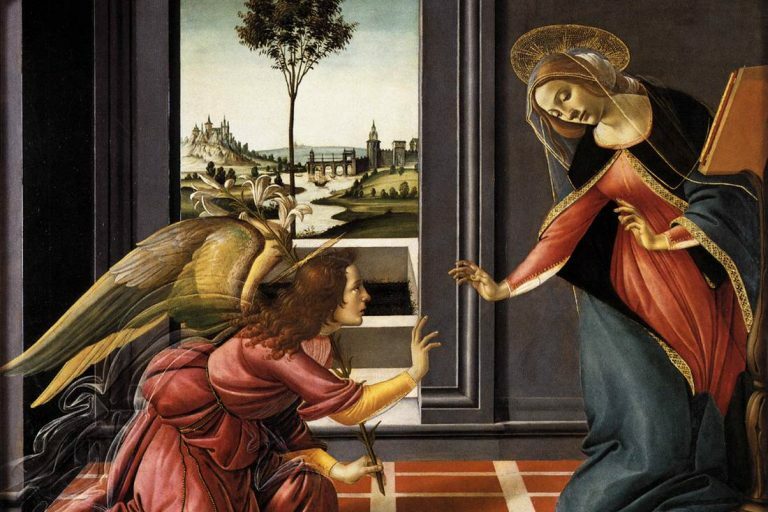 Although there is no denying that books and therapies can help us overcome fears in our day-to-day lives, there is perhaps only so far they can go, and this is the truth that the Annunciation reminds us of. After that, we simply put our trust and faith in the Lord, as Mary did. This Lent, let us surrender our fears to God and join Our Lady in saying “Let it be done unto me according to your will.” (Luke 1:38).